Join a community of students, faculty, and staff who give of themselves in the service of others. 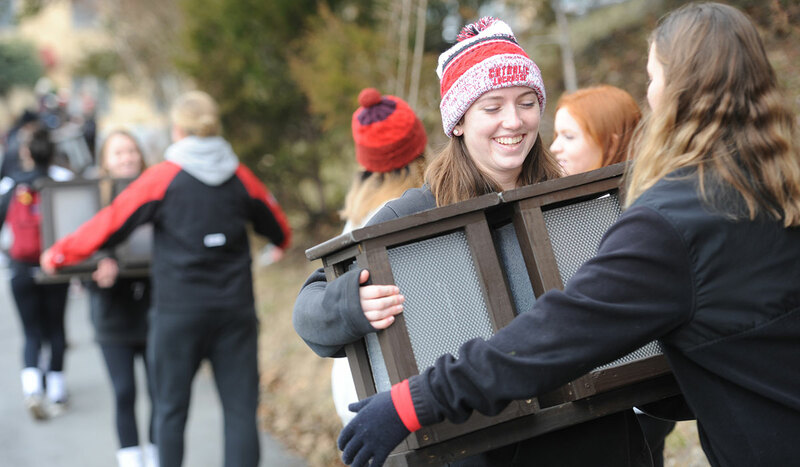 Through a number of community service opportunities they become a voice for peace and justice on campus and in the community through education, reflection and social action. The Office of Campus Ministry offers regularly weekly service opportunities, mission trips, and large-scale community service events.